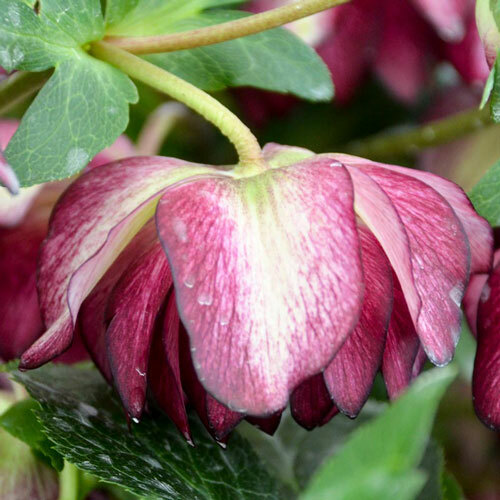 Among the earliest blooms to emerge in early spring, Hellebores, also known as Lenten Roses, sometimes push up through late-season snow to show their pretty faces to the world. Hardy, vigorous and easy to grow, they prefer well-drained soil and will become drought-tolerant in later years. They add color and beauty to an otherwise bleak landscape, appearing before any of the traditional spring-blooming flowers. 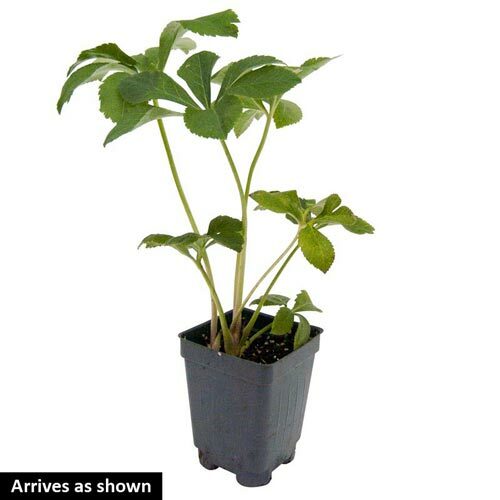 This deer-resistant shade perennial is available in a variety of colors, and look marvelous in woodland areas and around shrubs and tree lines. Flower FormLarge, double, cup-shaped flowers. PruningOnly to remove old, damaged or brown foliage. Pruning is not necessary, except to remove old, damaged, and brown foliage. Unique CharactersticsPlants were selected for their notable vigor, showy floral displays with excellent bloom production, and a variety of rich flower colors. Blushing Bridesmaid bears 2-2 1/2" double white flowers with raspberry pink veining and picotee edge. 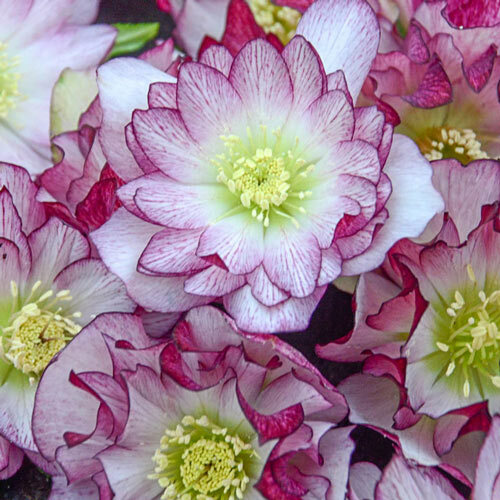 Blooming for six weeks, hellebores harbor spring and begin blooming even when snow is still on the ground.